What do you do when your partner and you are just too different? We are getting into fights over our differences, and spending more time unhappy together than we are enjoying each other’s company. It seems like our differences are getting in the way of being happy together. For instance, he says that I do too much for my friends and family. I have always had close relationships with my family and friends. He comes from a family of 5 boys and none of them are married. He was raised by his grandparents away from his brothers. He is not a social person. As long as I am with him and doing what he wants everything is OK. But as soon as I step out of the box of us, we have issues. I have told him, his comments make me feel guilty for being myself and his response was for me to figure it out. Then we end up fighting and feeling miserable after. We don’t seem to know how to get beyond our differences. We do sometimes try to talk and work things out. Sometimes we are so hurt and upset that we promise to change for each other. Things are better for awhile, but it does not last, and before you know it we are back to fighting and being unhappy. Differences like you describe are a very normal source of stress and hard issues in a relationship. However, positive change is possible. Making change is a tricky process at times. It is hard to see ourselves clearly when we are in the middle of an issue. We all can benefit from the outside, experienced help of a coach who is aware of the affect of personality types, who teaches tools and strategies you can use in working through issues and making changes, and who works with couples regularly and specializes in relationship. Everyone has some inner obstacles to succeeding in relationships. Everyone needs to undergo some personal growth in order to get beyond their inner obstacles. When couples experience hard issues due to differences, you know that there is an opportunity screaming out for each of them to grow personally — to get outside the “box” of their own limiting styles. We all have personality styles — so nobody is immune from personality-based obstacles that get in the way of a successful longterm relationship. Please realize that nobody escapes the kinds of personality-based issues and conflicts that you have been experiencing. We went through these, and the only solution is self-education in a big way. Depending on the two personalities of the partners — every relationship will have its key challenges. But we can all grow, and get unstuck from our own inner traps. And that will change who we are in relationship, how we relate to the other person, and, turn things around — enabling us to get new responses from the other person — and vice-versa. It can help dramatically if you both start to understand the particulars of each of your types and where each of you needs to grow. We reference the Enneagram personality system, the most interesting and useful way of looking at differences between people. We have used this in our own marriage, and with hundreds of couples. It works. A good Enneagram coach can help you get this on a deep level. Or you might just want to dig in and read alot of books on the topic. The point is to make this a very alive awareness for both of you — especially the part about where each of you needs to grow. Coming to mutually understand one another can also be a good result of awakening to this level of knowledge about human personality and how it comes to limit relationships — and what you need to do to go beyond those limits. We have coached many couples with this information, and it is powerful. Beyond the Enneagram system, there are many other important strategies and tools to learn in order to keep a great relationship feeling good through time. Being open to learn and grow is how to succeed in a longterm relationship. 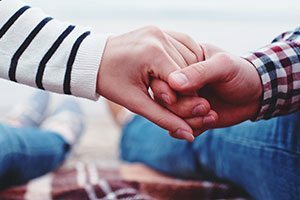 Many couples fall in love, but split up later because they end up blowing it — and do not have the right tools to deal with problems — and they never open themselves up to learn what they need to know in order to overcome a problem. So instead of consciously seeking out and learning the right tools to work though issues, things get undealt with and turn into longterm grudges and stuckness. And a marriage seems to get permanently cemented into unhappiness and unfulfillment — tragically unnecessary and quite a waste of good heart and loving potential, simply because people don’t know the right strategies to get through their issues. ← He is very jealous. How can I get him back?